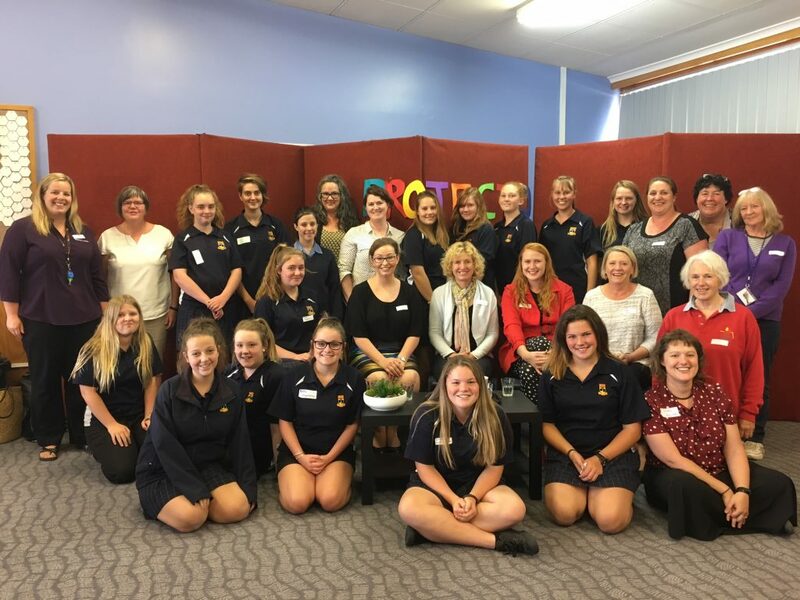 On March 8th our Project O team hosted our first event- an International Women’s Day afternoon tea at Wynyard High School, where we invited some very strong and influential women from the community to come to the school and talk to us about how they got to where they are today and what makes them proud to be a woman. Some of the ladies that spoke were Ruth Forrest (MLC) Penelope Dodd (Produce to the People), Wendy Page (Australian Story Producer ABC), Claire Anne Taylor (Musician) and Alex Wirth (Women’s Legal Service). There were also many other strong and important women there on the day. Leading up to the day we organised the room to make socialising easier, organised games to play, and bought food in from home that we had made. Some of the roles filled by the 20+20 Project O crew were Emma and Imogen who were the game organisers, Yazymn, Angel and Kaylee who filled the roles of M.C, the decorations were done by Kimberley, Isabelle and Kailee and Alison. Ky-lani was one of the vent managers. Everyone was laughing ad having a good time- the room’s atmosphere felt safe and comfortable. Everyone seemed to be confident and enjoying themselves. Some of the things that I learnt that day is how to push through the hard times and not to let anyone get in the way of your dreams. And that the reason we celebrate International Women’s Day is because it celebrates the achievements of women throughout history and it represents women’s rights. Overall the day was a massive success and we would all like to pass on our thanks to everyone from the wider community whole took the time to participate in this awesome event. We hope to do this again in the future.